If you are a Swiss-Belhotel International Executive Card Member you are entitled to a 30% discount from our Best Flexible Rate! 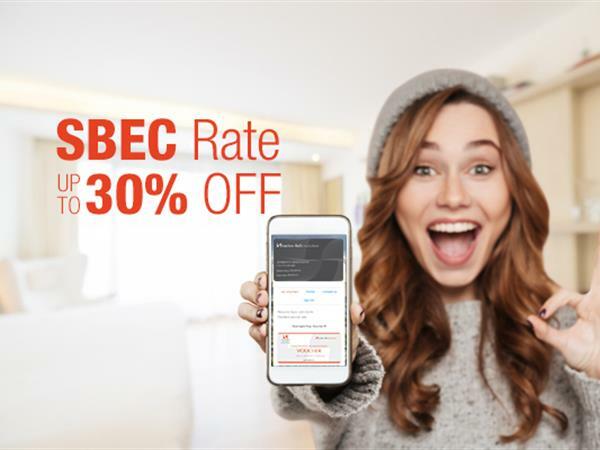 To book simply select your hotel, check-in date, number of nights and then enter the Promo Code of SBEC. If you would like to become a member please click here. Your SBEC card must be presented upon check in for validation purpose. Hotel have a right to cancel your reservation if you are failing to show the card.